The health care industry’s leader in Managed Print Services (MPS), announced a contract valued at approximately $10 million over five years with Sharp HealthCare in San Diego, CA. The MPS contract with the world class, integrated regional health care delivery system is expected to save the care organization in excess of $2.5 million over the course of the contract. Sharp HealthCare is a 2007 Malcolm Baldrige National Quality Award recipient, and is recognized as San Diego’s most comprehensive health care delivery system. The System includes seven acute care and specialty hospitals, two affiliated medical groups and a health plan, plus multiple other clinical and support facilities, totaling nearly 2,000 beds, 2,600 physicians and 14,000 employees. Sharp HealthCare is widely acclaimed for its commitment to transform the health care experience for patients, physicians and staff through organization-wide performance improvement initiatives and programs. It is frequently recognized for its commitment to clinical excellence and high-quality patient care by local and national organizations. For 14 years in a row, including this year, Sharp HealthCare was named among the top 100 integrated health care networks in the nation at No. 12, and No.1 in California by IMS, a leading health care data analyst. It was the first health care system to be named a gold-level award recipient by the California Council for Excellence for the California Awards for Performance Excellence program, the state-level affiliate of the Baldrige Award in 2006, and one year prior to its nationwide recognition with the Malcolm Baldrige National Quality Award. 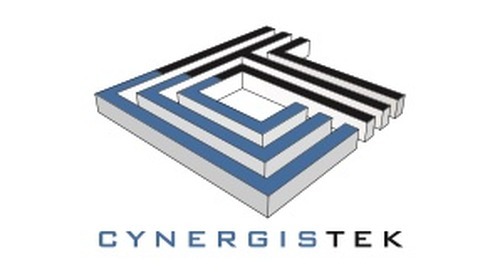 CynergisTek’s industry leadership in the U.S. health care MPS market has been earned by implementing customized solutions for hospitals across the nation by executing its expert approach for cutting costs by improving operational efficiencies in the process of document production in modern hospitals. As the only vendor neutral, health care exclusive MPS company in the U.S., it is at the forefront of providing hospitals with specialized knowledge of urgent care print environments that ensures cost reduction, assistance with e-records execution and on-site planning as a strategy partner to reduce volume substantially. A 2007 Malcolm Baldrige National Quality Award recipient, Sharp HealthCare is San Diego’s most comprehensive health care delivery system. It is recognized for clinical excellence for services in cardiac, cancer and multiorgan transplantation, as well as orthopedics, rehabilitation, behavioral health and women’s health. Sharp HealthCare has been widely acclaimed for its commitment to transform the health care experience for patients, physicians and staff through an organization-wide performance improvement initiative called The Sharp Experience. The Sharp system includes four acute-care hospitals, three specialty hospitals, two affiliated medical groups and a health plan. For more information, visit www.sharp.com.